Join the discussion on our forums! 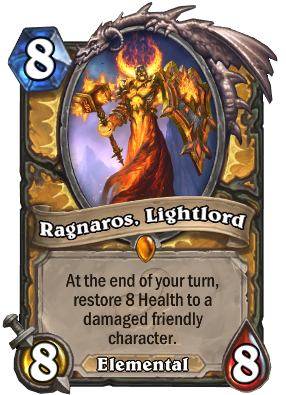 Come discuss Ragnaros, Lightlord over in our dedicated Ragnaros, Lightlord discussion topic. What happens when you try and corrupt a corrupted firelord? DOUBLE NEGATIVE, INSECT! For anyone who wonder what his intro music is, it is taken from "Druids of the Flame" in WoW - Cataclysm.